I just picked up one of these used. After dropping it off at the cleaners, I intend to image with it reduced .7x. This will be used primarily for small galaxy, planetary nebula, and some planetary imaging. Will also probably do some detail views of some of the larger nebula. What hardware/cameras should I consider for the setup? I've been imaging with refractors 60mm, 102mm, and a 6" RC. All have guide scopes. I think the CGX will handle better if the focal length is reduced, hence the reducer. Is the main camera ok for this application? Do I need something with larger pixels if the area I'm imaging is a lot smaller? What about guiding? Should I go OAG? I've heard they're necessary on these scopes. Should I consider a different guide scope, or is what I have sufficient? What about focusers? I have a couple of motorized Moonlites right now. Should one be in the cards for the Edge? Heating/cooling situation for this thing? I would lock the mirror & focus by moving the secondary mirror with an Optec SMFS. This will give you precise automatic focusing. I would guide through the main optics using the innovations foresight ONAG. You have to decide what imaging you want to do as one camera will not allow you to do both as the image scales & setup would need to be completely different. For deep-sky you could consider CMOS or CCD cameras and there are a wide range available. The simplest would be to go colour but you might like the sensitivity & flexibility of mono which will require you to use filters. The reducer on the C11 will give you a focal length of just under 2 metres which will capture a wide range of objects. Planetary imaging will require you to have a focal length of many metres and a complete change in camera configuration & how it is coupled to the telescope. You would need to consider imaging cameras more suited for planetary capture like the Skyris or similar ranges. Deep sky is going to be far more demanding on the guiding & setup so a good mount will be essential. The GGX mount is a good starting point but it will not be a lifetime choice. There is much to consider. I can't help much on the planet capture side as I don't image in that area but I have good knowledge of deep-sky capture and that in its self is very demanding & often frustrating. Good luck with whatever direction you go in but the forum will be happy to help. Edited by pyrasanth, 04 March 2019 - 05:09 PM. Thanks for the comments. I never got a response here and reposted in the CCD imaging forum. I ended up with the .7x reducer to make imaging more manageable on the CGX, I also got an OAG, the Moonlite low profile focuser, and the ZWO ASI071 pro camera to use in addition to my ASI1600 mono with Astrodon filters. I realize the pixel scale isn’t perfect for this setup, but I wasn’t prepared to drop a few grand more on a CCD camera. I own an EdgeHD 11” with the Celestron .7X Reducer as well as the Starizona F2 Hyperstar lens. One thing to keep in mind is the total weight of the entire rig in imaging trim. This thing is heavy. With a QHY9M, 7 Position Filter Wheel, loaded with Astrodons, Orion Thin OAG, Lodestar X2 Guide Camera, Feather Touch Crayford Focuser (with a Microtouch Focus Motor), Microtouch Focus Motor for the mirror, and all cables attached, the rig weighs 38.5lbs without the Dew Shield. Add that and the .7 Reducer and you’re approaching 45lbs. Add a separate Guide Scope and Dovetail bar and you’re REALLY pushing it. For planetary and lunar, that’s not such a big deal but for deep sky stuff you’re gonna want your Polar Alignment absolutely perfect and have very good guiding on that CGX. Definitely go OAG but you may need a very sensitive Guide Camera (like the Lodestar) to find decent guide stars in the tiny OAG prism. You can get away with the 1600 but it’s pushing it due to the 3.8um pixels, something with fatter pixels would bump that pixel scale up. CCDs are nice in that regard as they have hardware binning (to really bump the scale up) where CMOS cameras use software binning. I just bought a C11 Edge and plan on using my 1600mm-Pro with it. I purchased a Celestron OAG and a 174mm mini for my guide camera. I also just ordered the new Celestron Focus Motor so that I don't have all that weight on my image train. I will be ordering the 0.7x reducer in a few weeks and then starting my first sets of imaging, weather permitting. Good luck with your setup, look forward to seeing how things turn out for you. I would try using what you already have so see how things work and only purchase new equipment if you find you have to. Even at f/7, this is a lot of focal length, and it at the limit of what the CGX can handle for demanding photography. An off axis guider is a must. Large pixels bring more sensitivity, smaller pixels more resolution. Generally, a larger chip with larger pixels will make your task eaiser. A dead on polar alignment with Sharpcap or Polemaster is a big help. PPEC training and spending time with PHD to get the guiding parameters really nailed helps, too. Keeping subs as short as possible is a help as well. But, all in all, long exposure deep sky imaging with a C11 is a CHALLENGE, especially for someone who hasn't imaged with SCTs previously. I guess we’ll see how it goes. I’ve yet to have a clear night in about 4 weeks now. Possibly 1 clear night this weekend. I’m interested in at least getting it outdoors for a trial run if nothing else. I was able to image with a 6” RC at 22 lbs on my AVX with 30lb limit. So, more than half the weight limit, and mitigated guiding issues by reducing the focal length to around 915mm from 1370mm. I was able to guide 10 min subs on the AVX. I’m expecting a similar story here with the SCT. I’m at 33lbs on a 55lb capacity mount, reduced down to 1960mm focal length from the 2,800mm native length of the 11”. I suspect I’ll be fine with good PA and guiding. 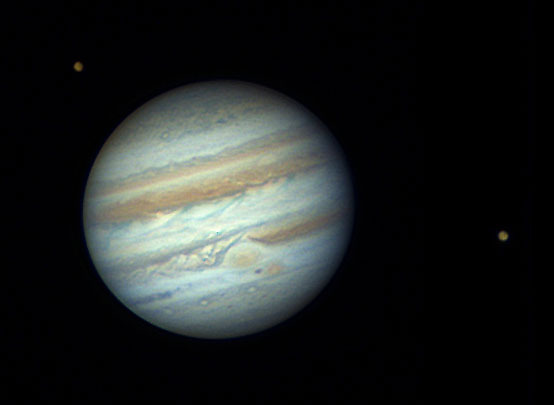 I did some planetary imaging with the scope already at 2800mm and no guiding. Uranus and Mars stayed in the tiny window of my ASI224mc for more than an hour. I did pick up an off axis guider, and an ASI071 Pro which has slightly larger pixels than the 1600. But I’ll keep the 1600 around if I decide I want to try some narrowband with this scope. I image with an EdgeHD 1100, mostly lunar and planetary. You don't really want the reducer for this type of work unless you want to do group portraits with the Galilean moons, you need to head in the opposite direction with a 2x or even 2.5x Barlow or other booster. It can be a tad tricky at first getting accustomed to finding and keeping the target in the FOV...but it is well worth the effort. I’m only using the reducer for DSO imaging while I guide. I plan to image small galaxies and details from nebulas. I can easily remove the reducer for planetary work as back focus remains the same. I have the 2” 2xPowermate for planetary closeups already. Great discussion. I just picked up a EdgeHD 11. I have no mount weight issues as it will be on a EM400. I will be imaging with a ZWO ASI294. I have a Fastar. So my questions are should I plan mostly on shooting at F2 for deep sky and then use a Powermate for planets mostly? Would there be much use for a Focal Reducer? And if so since the Celeston is so expensive does anyone have experience with the Optec Telecompressors for the Edge? I have another setup for widefield. Lastly how are others mounting their guidescope? Tackling the question of using a .7 reducer or not really is about image scale; seeing; effective use of the sensor pixels; and personal frame of reference for the object. Jumping between F/2 and F/10 and F/7 the image scale per pixel ranges considerably your camera will be oversampling considerably if your seeing is average to bad as you use F/10 and only slightly better at F/7. Typically for larger slow aperture a larger sensor with larger pixels is more desireable. The ASI294 at just under 5um is better than the ASI1600 @3.8 but a full frame Canon 6D @ 6.5um is better along with it's larger FOV. The Dumbell Nebula at F/10 vs F/7 vs F/2 with your camera on the 11" results in essentially closeup vs portrait vs landscape in field of view framing. Personal preference dictates what you'll prefer also given specific camera used. At F/10 with the 294 it will likely be less crisp than at F/7 while at F/2 it's scale drops quite a bit. . Reviews of the Optec telecompressor indicate it is somewhat workable for AP only but has less than optimal performance for APS-C and larger sensors compared to the Celestron reducer because the illuminated field is roughly 50% of the factory reducer.